What Excel, Data, and VBA problems are you facing today? I receive many messages from our lovely readers, subscribers, and followers (via email and on our Facebook fan page) to solve their day to day Excel, Data, and VBA related problems. But due to the shortage of time, my team and I cannot reply to or solve all those messages/problems. 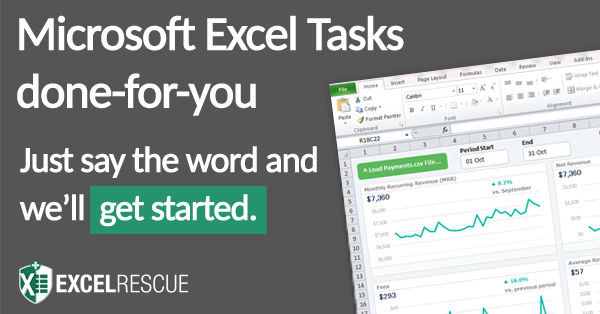 Why have I partnered with ExcelRescue? For smaller budget projects, I highly recommend ExcelRescue.net. They have got so many good reviews from their clients.